Advanced Energy Gel delivers rapid injection of energy in the form of a convenient sachet. Interesting flavors and rich composition. It is available with / without caffeine, depending on taste. 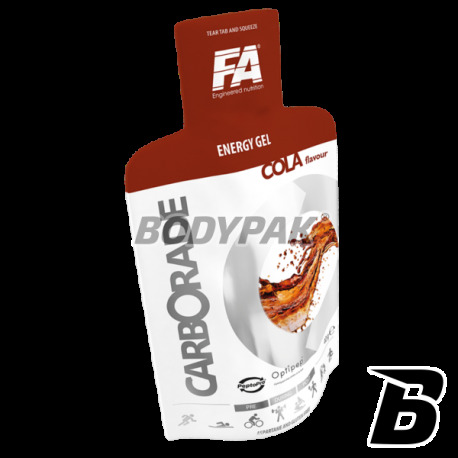 FA Carborade® Energy Gel is a high-carbohydrate energy gel. Food for special nutritional purposes that meets the demand of the body during intense physical activity especially athletes. Tasty gel energy supplying carbohydrates before, during and after training. 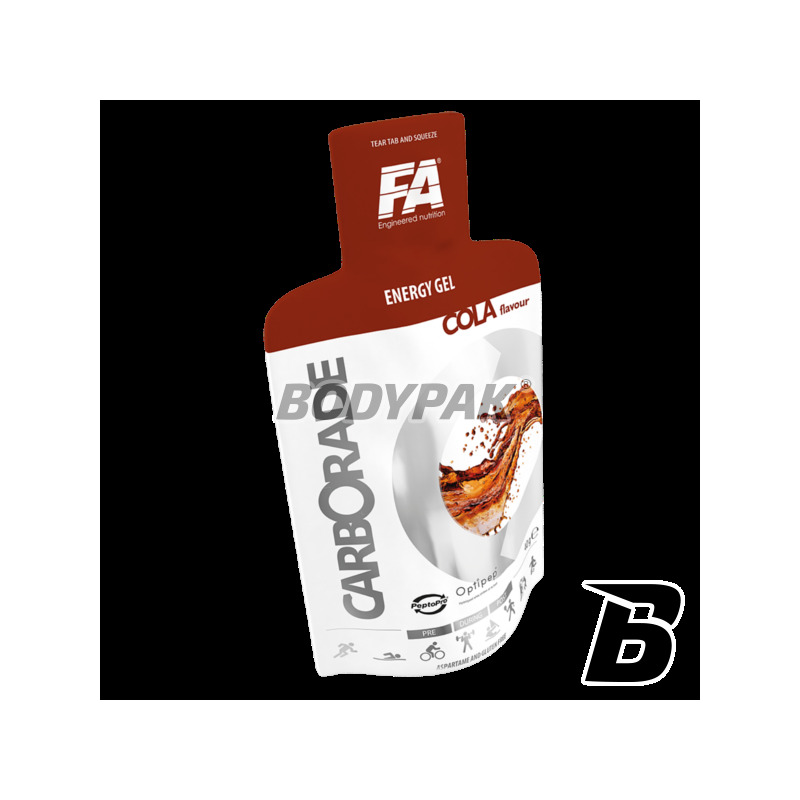 FA Carborade® Energy Gel is a gel forming carbohydrate concentrated source of energy locked in a small handy sachet. The base product are the carbohydrates with different structures - simple carbohydrates - fructose and maltokstryna, known to be complex carbohydrates. Fructose as a simple sugar, that does not require etching is directly absorbed from the intestinal lumen into the blood stream and is quickly and easily accessible source of energy for the body that already a short time after ingestion can be used as a "fuel energy" for working muscles. Maltodextrin contained in Carborade® Energy Gel, even though they are complex molecules is also rapidly absorbed from the intestinal lumen as glucose, but due to the fact that it consists of more simple sugars allows the body to get more power and it is not as sweet as simple sugars, products based on it despite a high concentration of energetic particles do not cause przesłodzenia product. Carborade® Energy Gel is the ideal product for periods ie. Carbohydrate loading and during prolonged exercise lasting more than an hour. Convenient form of sachets of gel allows them to be used in every sports discipline. As part of product diversification Carborade® Energy Gel is available in two versions: the gel carbohydrate and carbohydrate gel with caffeine so that everyone can choose the perfect product for you. Flavours with caffeine: Strawberry, Raspberry, Cherry. Składniki: maltodekstryna, woda, fruktoza, regulator kwasowości (kwas cytrynowy), hydrolizat białka serwatkowego (Optipep™), hydrolizowana kazeina (PeptoPro®), substancja konserwująca (sorbinian potasu), aromat. Trochę śmieszna konsystencja, taka dość specyficzna, ale smak jest dobry. Stand By Recovery Gel is specially selected ingredients ideal for use after exercise or other physical activity. Each tube contains 45 grams of carbohydrate from 6 sources of varying absorption, and in addition 5 grams of protein enriched in branched chain amino acids (L-leucine, L-valine, L-isoleucine).